November 30, 2016 — In its December issue, Virginia Business magazine named Rhodes, Butler & Dellinger partner Mark Dellinger to Virginia’s Legal Elite. 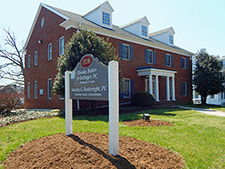 Dellinger was one of only 75 attorneys in Virginia to be named to the Taxes/Estates/Trusts/Elder Law list for 2016. This entry was posted in News on January 3, 2017 by Janeson Keeley.